BBC Radio 4 profiled XTC's Andy Partridge in a new episode of their docu-series The Voices Of... This episode is highly recommended for longtime fans of Partridge and XTC or those who just want to learn more about the man who penned countless legendary and influential songs. Stream the episode here. 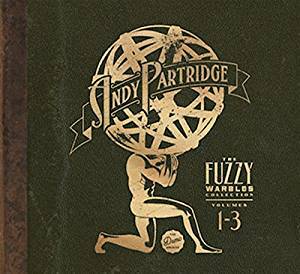 If you're a fan of Andy Partridge, be sure to check out his Fuzzy Warbles series. The eight volume collection contains career-spanning demos, songs that were later recorded by XTC, some that were intended for XTC, and other songs he's written that didn't fit anywhere else. Purchase through XTC's store. A few volumes are also available on Amazon.